4. The third verb is “to free”. The poor of the Bible live with the certainty that God intervenes in their favour to restore their dignity. Poverty is not brought on by itself, but is caused by selfishness, pride, greed and injustice. These are evils as old as man himself, but also sins in which the innocents are caught up, leading to consequences on the social level which are dramatic. God’s liberating action is an act of salvation towards those who manifest their sadness and distress to Him. The prison of poverty is broken open by the power of God’s intervention. Many of the Psalms narrate and celebrate this history of salvation which is mirrored in the personal life of the poor: «For he has not despised or abhorred the affliction of the afflicted; and he has not hidden his face from him, but has heard, when he cried to him» ( Psalm 22:25). To be able to contemplate God’s countenance is a sign of His friendship, His proximity, and His salvation. «Thou hast seen my affliction, thou hast taken heed of my adversities … thou hast set my feet in a broad place» ( Psalm 31:8-9). To offer the poor a “broad space” is to liberate them from the “snare of the fowler” ( Psalm 91:3) and subtract them from the trap hidden on their path, in order that they might proceed expeditiously and look serenely upon life. 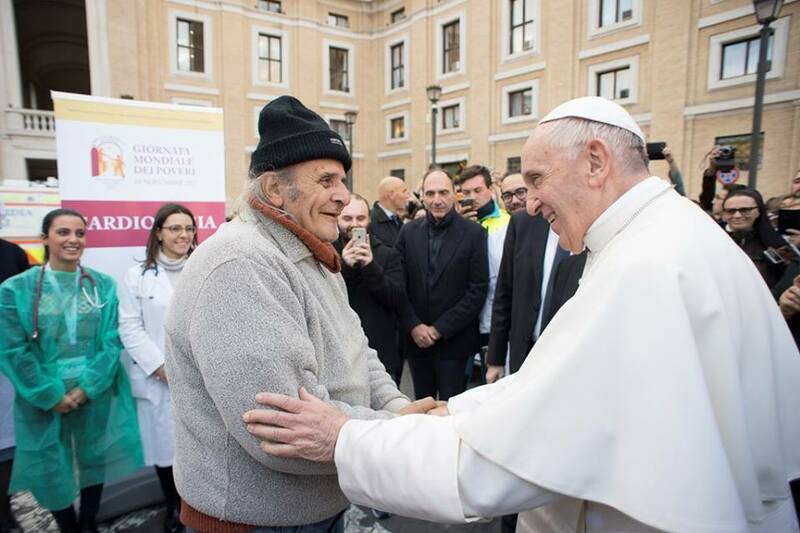 God’s salvation takes the form of hand held out to the poor which is welcoming, offers protection and allows them to experience the friendship which they need. It is beginning with this concrete and tangible proximity that a genuine path of liberation emerges. «Each individual Christian and every community is called to be an instrument of God for the liberation and promotion of the poor, and for enabling them to be fully a part of society. This demands that we be docile and attentive to the cry of the poor and to come to their aid» ( Evangelii gaudium, 187).